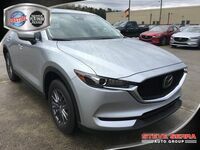 The 2018 Mazda CX-5 has come to Serra Mazda! 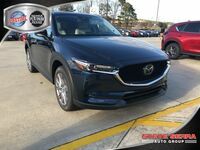 This new model year of the famous midsize crossover has a number of updates and changes to its repertoire for the new model year. 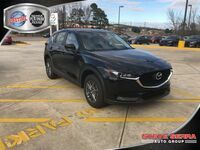 With this crossover in high demand, we're giving you a chance to reserve your 2018 Mazda CX-5 in Trussville, AL here at Serra Mazda. This model features three trim levels: the Sport, the Touring, and the Grand Touring. 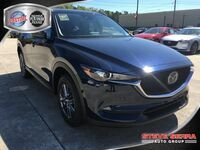 Each trim level in the 2018 Mazda CX-5 spectrum gives drivers incredible value and powerful performance potential. 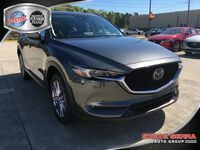 With the ability to seat five passengers and a house a versatile cargo space, the Mazda CX-5 is ready for the road ahead. 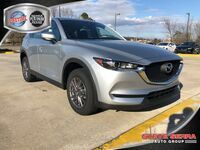 For the 2018 model year, the Mazda CX-5 has introduced a number of updates to refine its performance and driving dynamics. 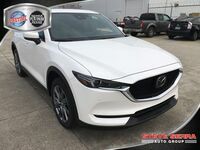 Alongside these improvements, the Mazda CX-5 has also introduced a variety of new standard features on every trim level, increasing value for drivers. No matter the task ahead, the Mazda CX-5 has you covered. With a variety of ways to connect while out on the road, you'll always feel in touch. New convenience amenities and active safety features make life easier and give you peace of mind while you're out on the road. 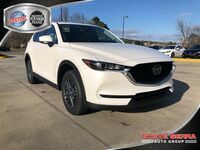 The 2018 Mazda CX-5 offers drivers a wide range of color options and interior materials from which to choose the perfect Mazda CX-5 for them. 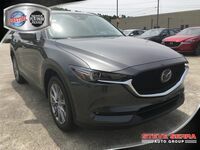 The new model year of the Mazda CX-5 now gives drivers access to Smart City Brake Support and Advanced Blind Spot Monitoring with Rear Cross Traffic Alert. Previously, these features were only available in top trim levels. Now standard, these technologies help to keep you safer while out on the road, because safety shouldn't be sacrificed. In the upper trim levels, drivers will find more active safety features from Mazda. All 2018 Mazda CX-5 models will come equipped with a SKYACTIV-G 2.5L DOHC 16-valve 4-cylinder engine. This engine can produce 187 horsepower and 186 pound-feet of torque, giving drivers an incredible amount of power under their right foot. This engine is mated to a SKYACTIV®-Drive 6-speed automatic transmission and features SKYACTIV-VEHICLE DYNAMICS with G-Vectoring Control to further refine performance. 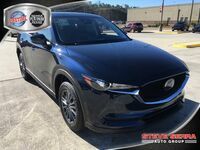 The 2018 Mazda CX-5 will now come with standard Cylinder Deactivation technology on all trim levels. This tech allows for the two outside cylinders to be shut down when the vehicle is operating between certain speeds and keeping a steady pace. This increases the fuel-efficiency of the Mazda CX-5. When needed, your engine will switch back to four cylinders. You won't notice the change while your driving, but your wallet sure will.